When I think about college life, images of instant ramyun noodle, cramped dorm rooms, crazy frat parties, and long all-nighters for final exams pop up in my mind. However, that is definitely not how college life is for the K-pop idols who choose to attend college classes while they try to keep up with a busy career at the same time. Most of them choose to do this because let’s face it, idol status does not last forever, especially for many of the dance-centric groups we see on the K-pop scene today. Taking college courses gives them another path that they can take in life–perhaps to become a manager for another group, a composer, an actor/actress, or even a producer for an entertainment company. They can also take the classes for an opportunity to improve themselves as entertainers in the industry. I truly applaud idols who make the decision to continue school even after they debut, because it certainly cannot be easy to balance both a career in the entertainment industry and academic responsibilities at the same time. If idols decide to enroll in college, most of them choose to take arts courses, such as acting classes or singing classes. Eunjung and Lee Jang Woo, the fresh-faced “Campus Couple,” are currently enrolled in arts courses at Dongguk University, which boasts an impressive list of students who also happen to be K-pop idols. Both Seohyun and Yoona attend that school as well, along with Wonder Girls members Lee Sun Mi and Min Sunye. Kyuhyun, the adorable maknae of Super Junior, graduated from Kyunghee University with a major in Post-Modern Music, which was also where famous entertainers such as Yonghwa, Lee Hyori, Changmin from DBSK, Yoochun, and G-Dragon chose to enroll at. For them, taking on the extra burden of college courses is certainly not an easy thing to do, but it is ultimately a wise decision, as the courses can help them improve their skills, such as singing and acting. Eunjung is considered a commendable idol actress today, and there’s no doubt that taking acting courses along with her normal idol activities have helped her improve her skills. There are also idols who choose to major in something that is not related to the entertainment industry at all. Lee Seung Gi, well-known as an actor, singer, and MC for multiple shows, majored in International Trade and Commerce at Dongguk University, even receiving a Special Achievement Award when he graduated in 2009. He actually chose to continue his education and is currently enrolled in the Graduate School at Dongguk University. 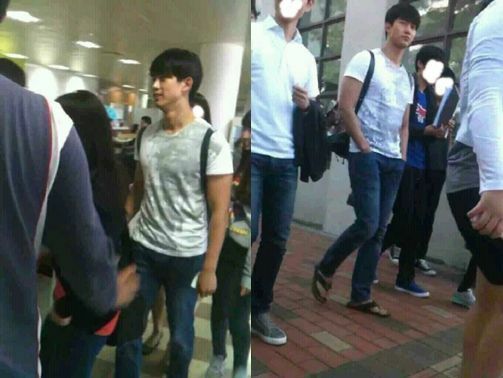 Taecyeon, the “beastly” rapper of popular group 2PM, is currently studying Business Administration at Dankook University, another college that seems to be a top choice for idols. Graduates and current students there include T.O.P., actress Ha Ji-won, and Rain. Heechul, the charismatic pretty boy from Super Junior, graduated from the second class of Sangji University’s Computer Data Informatics Department. I wonder if taking CompSci has helped him improve his Starcraft skills. 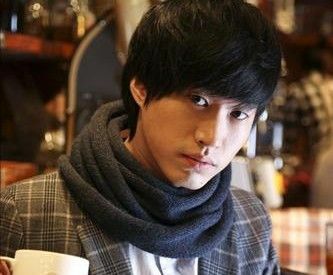 Tablo, the leader of hip hop group Epik High, was different in the sense that he attended Stanford University in the United States before making his debut in South Korea. He obtained a Bachelor’s Degree in English Literature and a Masters Degree in Creative Writing. Maybe that’s why his raps are so good. Of course, there are also a handful of idols who opt out of college. IU caused quite a stir when she announced to her fans that she had chosen to forgo college in order to focus on her developing career. She stated that she had more confidence in her singing than her studying and stated honestly that she didn’t think that she was ready to take the college entrance exam. I would too, girl, if I were you. Jiyeon is another idol who decided to focus on her career and not add academics to her already-full agenda. Not taking classes has allowed her to take on more projects as an actress and improve that way. There are clearly both pros and cons to making the decision as a K-pop idol to enroll in college courses. Some idols use the courses as an opportunity to improve themselves as entertainers, while others take it as a chance to explore subjects they may be interested in after their career as an idol ends. But the stress that having to balance classes with regular idol activities brings can be very taxing as well. Other idols choose not to enroll in classes because they think that it allows them to focus on taking on more projects in their careers, but they are also hedging their bets on a relatively long and successful career. What do you guys think? Would you enroll in college if you were a K-pop idol and why?